As much as I wish winter break could have been longer, I am so excited to be back at school, reunited with my friends and taking interesting classes. My winter break was very relaxing and filled with family and friends, and taking advantage of the unusually warm San Diego weather by going to the beach and kayaking. Now that I’m back at USC, it’s time to buckle down, focus on schoolwork and all of my activities, and play lacrosse! I know this semester will be busy as I’ll spend many weekends traveling for lacrosse, but I do want to spend more time exploring L.A. Although I’m from San Diego, I rarely came up to Los Angeles, which is why I still feel a little like a tourist as I explore the city. To change that, I’m setting a goal for myself to visit three new places in Los Angeles by the end of the semester! 1. Griffith Observatory – I can’t believe I still haven’t been here. Many of my friends have spent the day here, taking in the sights, looking through the telescope, and hiking to the Hollywood sign. Unfortunately every time they’ve gone I’ve been busy. But this semester I am determined to go! 2. Los Angeles County Museum of Art (LACMA) – Another popular tourist sight in Los Angeles, the museum is known for its exhibits, shows, and of course the forest of city street lights that have been featured in several movies. 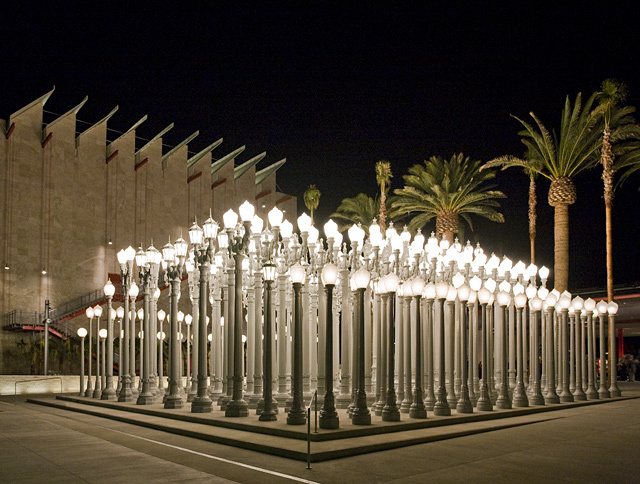 I am so excited to visit LACMA for the first time! 3. The Venice Canals – This is a popular, relaxing walk along the beautiful canals in Venice. The canals have also been featured in movies, which is another reason why I want to go see them, but I mainly want to go because they are so beautiful and quaint, and somewhat surprising given their proximity to the busy boardwalk.